For me, the strand of the American inheritance for which I am most grateful is our tradition of criticism and dissent. Through the institutions of free speech, free press, and an independent judiciary -- flawed, sold-out, and co-opted as they sometimes are -- this country has fostered development of a deep and rich discourse of self-critique. I am profoundly grateful for that development. "Grateful," I say. 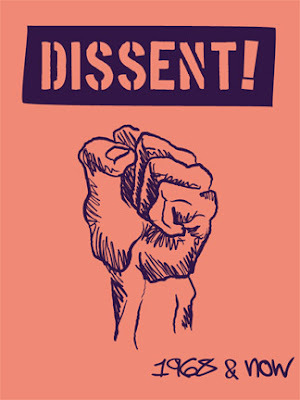 I might, instead, have said the tradition of dissent makes me proud of being American. "Grateful," however feels more to the point, more germane, and more accurate than "proud." True patriots love their country enough to tell it the truth, and I am grateful that our country has had many such true patriots. Our great need, then, is not to tell ourselves how great it is to be who we are and to have what we have. That sort of thinking just lulls us to hold onto it in “perpetual safe-deposit.” The great need is to figure out what to do with ourselves and the resources (including resources of privilege) at our disposal. How do we to share of ourselves and our power most effectively? That’s the need for any one of you, having whatever privilege you might have. How do you share it? How do you use the power of your inheritance to connect with others in compassion? That’s the need, too, for our nation: to be neither proud nor ashamed of who we are and what we have, and to use the powers we have to connect with other nations with respect, with compassion, with an interest in their own good, not just what good they are to us. Pride is disconnecting. It succumbs to the illusion that there is a separate self of which to be proud. Our challenge is to live, not in that illusion, but out of truth -- namely, the truth that we are all interconnected and one. "Not in my lifetime, but maybe, just maybe, in yours, little one, the day will come when no one’s pride functions to deprive and shame others. On that day when no group is systematically shamed, countering the shame with pride will be unnecessary. The day will come when gratitude takes the place of pride. The day will come when being grateful for being, and for the conditions that made us what we are, always feels to the point, and comes from a place near to the heart. The day will come when being proud of ourselves will seem, at worst, hubris and, at best, an oddly quaint way of expressing what is really gratitude. The day will come. Not in my lifetime, little one. But maybe in yours." Previous: Part 29: "Proud To Be an American?"